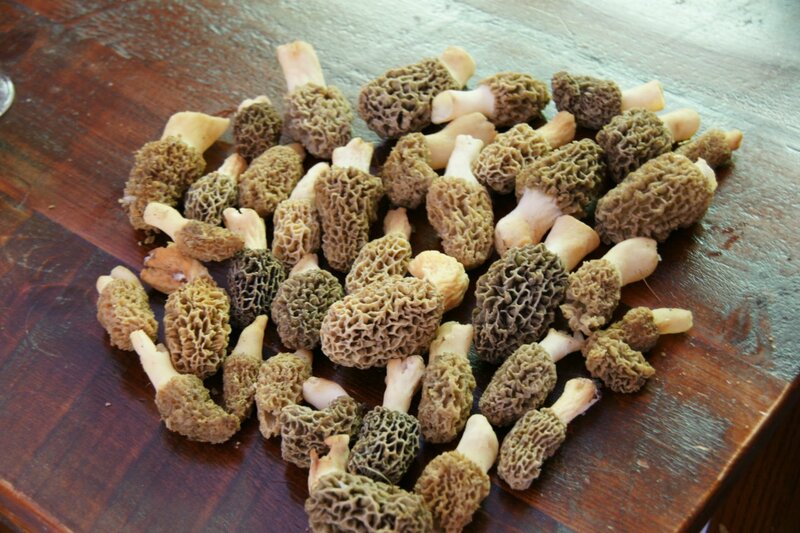 My son-in-law is a forager. His expertise is wild mushrooms. Too bad he now lives in the concrete canyons of NYC! Prior to moving, he would dry mushrooms and present a large bag for us to use. Very delicious, satisfying, and best of all FREE! Chris! that’s wonderful you have someone you know who can teach you. I’ll bet he can find some ramps and mushrooms close enough to NYC :)….we do the drying thing too–invested in a gigantic dehydrator but unfortunately last year we didn’t get enough to dry! 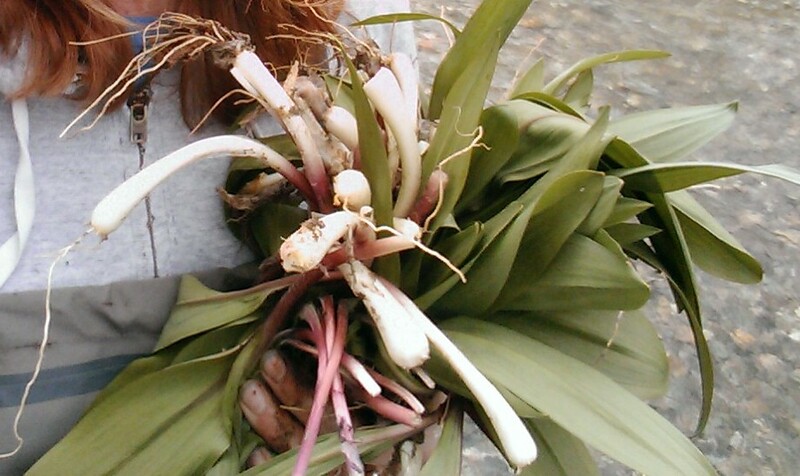 I’m trying to figure out the best approach to saving the ramps though–freezing and drying don’t seem to work. I’ll bet you have places where you live where you could try this…??! hope so! Oh ya! 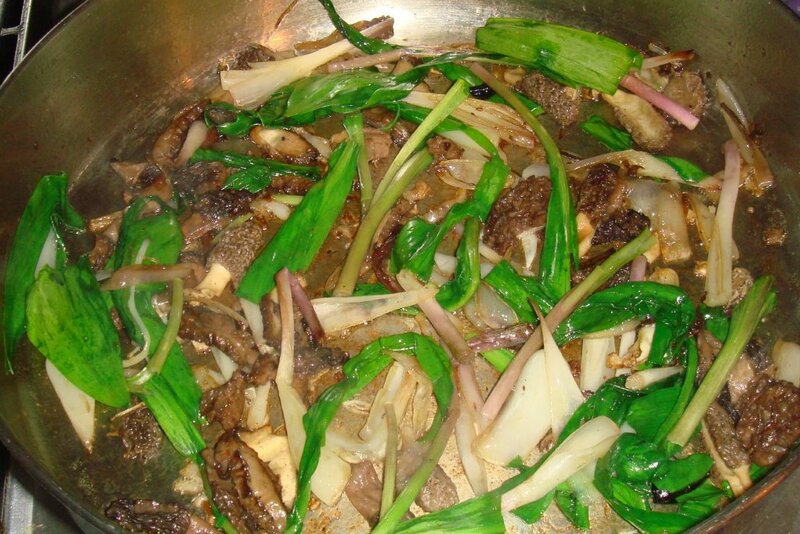 Still have some ramps in the fridge can’t wait to get up to the island and do our first big hike in the woods! 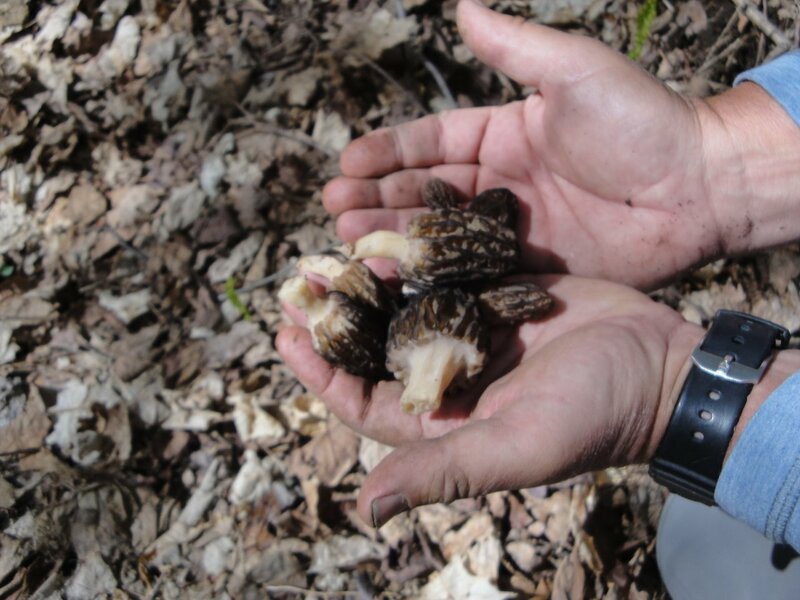 We sometimes get morels but not many….wonder where your secret spot is tehe. Happy hunting sooooooooo excited. Erin–I was hoping the photos I added here didn’t keep the geo-tagging on it when I posted them….I was shocked to see they pinpoint exactly where I find them when I upload them to the web!! not something to pass around on that way… Happy hunting for you too—look forward to hearing how you do this season! My missus used to go foraging for mushrooms when she was a child and probably can still remember which ones will kill you and which ones make you hallucinate! For me, it was a childhood collecting berries. We don’t do it any more because you never know what poisons are sprayed on the hedgerows. ooh, such a bummer, you are right. 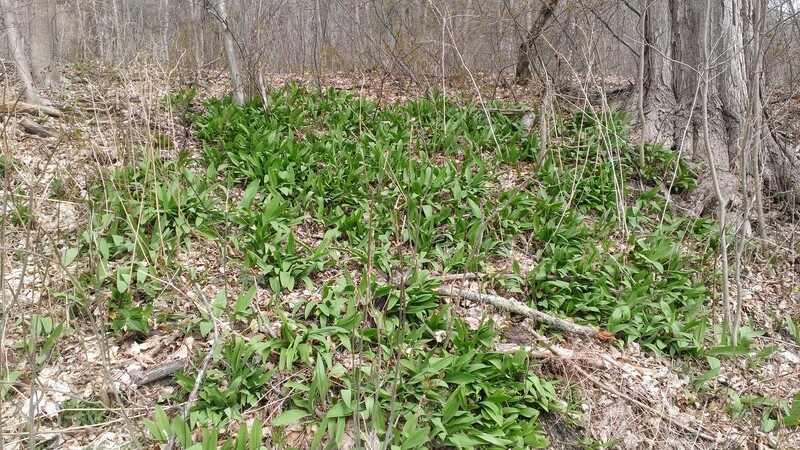 I do think about that when I find ramp leaves a little too close to a corn field but tend to stay in the woods –I don’t think the poisons get that far in. thanks for your story! 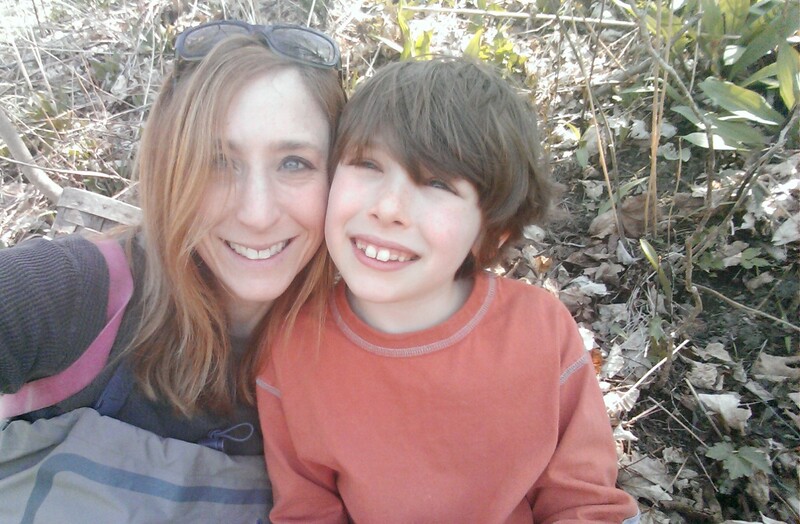 Reading your post makes me imagine the sun on my skin, the breeze in my hair and the smells of spring all around me. Can I come with you next time? it’s exactly like that Maggie–I so wish you could come with me….some day! I’ll bet they have them where you live though…check it out! 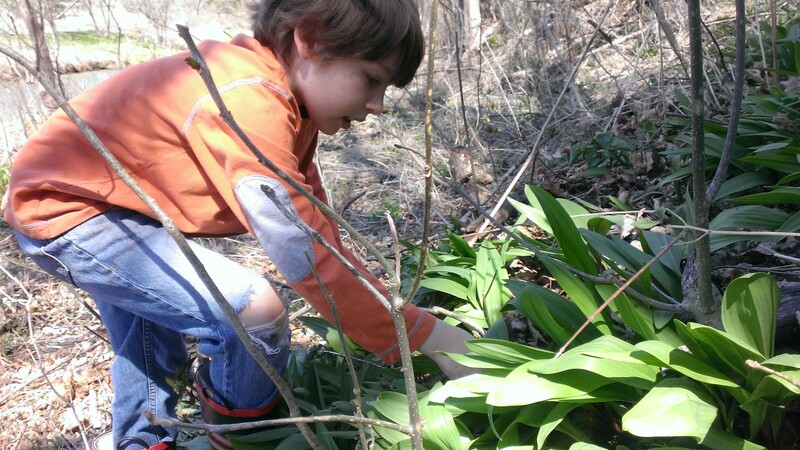 Foraging looks very fun and very delicious! We’ll have to get there again some time and you can take us on a tour! thanks for the comment–would love to, although I would bet you have some of this stuff near you. I’m sure the boys would love it! Curious about your recipe for wild ramp pizza… sounds intriguing. Did it turn out?